Turkey is one of the most attractive and popular travel destinations in the Middle East. Despite the fact that Ankara is the official capital of the country, the heart of Turkey is Istanbul. What makes Istanbul so special? Everybody would say it is the place where two different worlds collide: Europe and Asia. 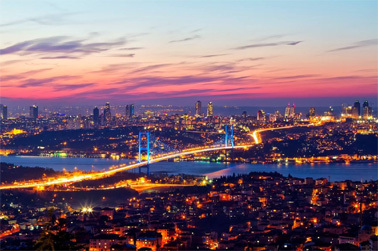 Moreover, Istanbul itself is located on two shores of the Bosphorus strait as if one side represented the West and another one represented the Orient. Istanbul is the city of contrasts where the mosques minarets can be seen from any point in the city and where the clatter of tourists and pitchmen is just unremitting. The active nightlife of the city harmonizes with the great cultural heritage of the modern secular state. The pearl of Turkey is a perfect destination for all the adventure travelers. 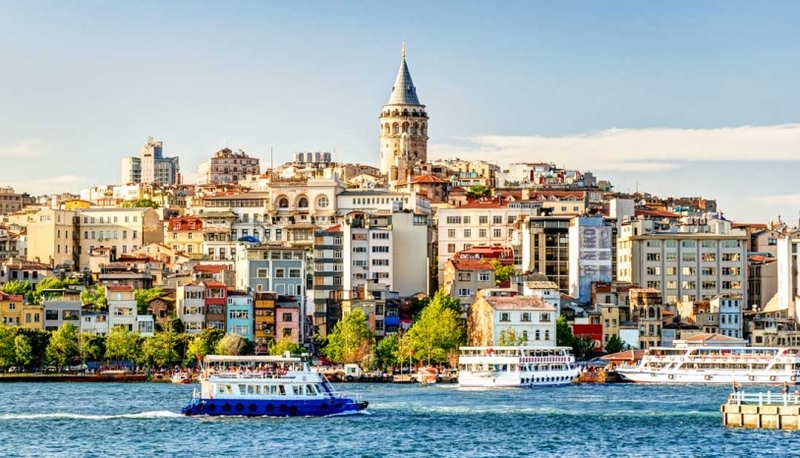 The city and suburbs abound with various cultural property sites and unique areas such as Blue Mosque, Hagia Sofia, Bayezid II Mosque, Topkapı Palace, Galata Tower and many other places of interest. Weeks are needed to discover all the mysteries of Istanbul alleys and broad streets. Population of Istanbul is more than 14 million people who are famous for their hospitality and love of life. Nobody can remain indifferent to these people full of enthusiasm for passionate life. They work at their full potential and then party hard; they keep up their traditions and keep up with the times at the same time. These people definitely know the secret of living in happiness. As any other densely-peopled city Istanbul has a diverse public transport system represented with two international airports, buses, tramways, city shuttles called Dolmush, taxi, subway, suburban rail, ferries and funicular. A special unified electronic card (Istanbul Kart) is available for the majority of the means of transport. Furthermore, it is possible to rent a car at any time. One of the Istanbul’s drawcards is its cuisine that is as diverse as the architectural variety of the city. Along with the numerous street food cafes there are thousands of restaurants, bars, taverns and saloons that suit every pocket. Turkish cuisine is very diverse and abounds with meat dishes, vegetable dishes and desserts. Istanbul is the city with the great history. Back in the days it served as a capital for four different empires. Modern Istanbul keeps up all the cultural treasures of its history and goes with the times and that what help it gain the hearts of all the visitors.